Now you can bring the style of Japanese Cuisine to your home with a mind-blowing invention – Teppanyaki Grill. Used worldwide by domestic cooks and chefs alike, the large cooking area of this Teppanyaki grill allows multiple ingredients to be cooked at the same time. Undoubtedly, this is useful for a variety of meals. It is ideal for hosting dinner parties, preparing individual meals, barbecue-style with a nice bbq flavor and stir fry food. It’s easy to get started in this type of cooking, and for beginners I would recommend to start with a tabletop grill and see if it suits you. I use stovetop grills myself now, but bought a tabletop grill when I first started out and would advise you get the Netsc19 Electric Teppanyaki Table Top Grill from Amazon, which is the same design style as the Andrew James I bought (not available now though). If you’re unsure that Teppanyaki is for you and you want to try it out, maybe the less expensive Costway Electric Teppanyaki Grill would be a good fit for your home. It’s less durable than the Netsc19, but it has a grilling surface that’s just as large and might be the way to go at first. This way you can start creating your own teppanyaki dishes with ease and see if it’s for you, and eventually maybe upgrade. They all taste fabulous when cooked on the Teppanyaki Grill. The non-stick surface means not much oil is required while cooking. Moreover, the drainage holes coupled with oil drip tray ensure that your food stays fat- and grease-free, meaning thereby the food cooked on Teppanyaki is way healthier and retains its natural nutrients and flavor. You would simply love the best meals that you can cook with The Teppanyaki. Light seasoning and fresh ingredients are major characteristics of teppanyaki, because cooking done with this Teppanyaki style enhances instead of covering up the original flavor of the ingredients used. but, garlic is used generously when preparing bean sprouts, chicken, and meat. You can see the stovetop grill that I’m using right now is on there as well, but be sure to start with a tabletop grill if you’re just starting out. Especially if you want to use it for parties. They have a smooth surface that is either ground or polished. This ensures easy cleaning after use. 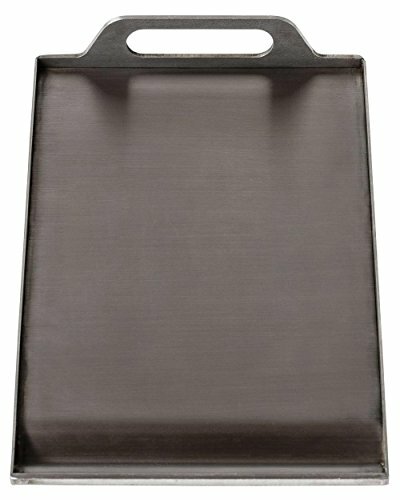 The edges are raised stainless steel plates which effectively contain oil during preparation of meals. It comprises a removable stainless steel drawer which holds and enables easy disposal of waste. Cast iron gas burners at the center of the grill plate provide the heat. As items are placed further away from the cooking center, temperature drops. The burner system is conveniently adjustable to modulate the cooking temperature. A push button igniter is furnished onto the burner controls. It is environmentally friendly since it used clean electric energy. 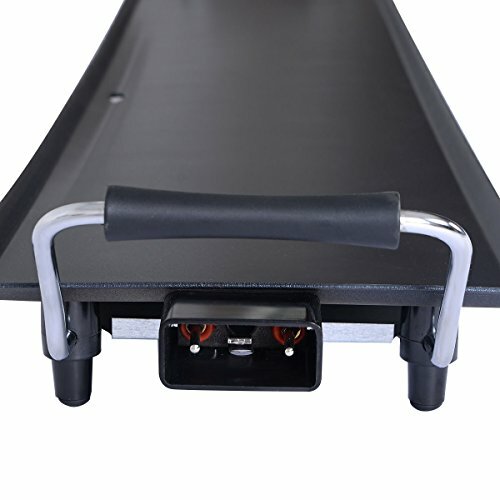 It is easily installed and requires only a cutout and one drilling for fastening. It fits most counter surface materials. No kind of weather should hinder you from enjoying your favorite grill. 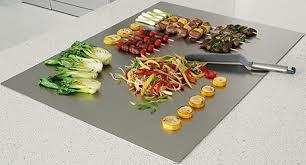 Then why not equip yourself with an indoors table top Teppanyaki grill? This kind of grill is the best for all social gatherings and there is no greater joy than having everyone chipping in to do some cooking. Minimal ingredients are required and there is an option of getting pre-made ingredients from hypermarkets. Since the size of the grill doesn’t take up much space, it can also be used to make sit down meals and diners chat during the gathering. A more spacious grill can cook more than 8 portions at a time while using a wooden spatula. The Table Top Open Teppanyaki Grill is easily portable and this saves a huge chunk of time used to move equipment fro and to the kitchen thus food is enjoyed at the same place. They also incorporate a unique flavor, and if you need a grill there are online stores with a variety of options to choose from. To sum everything up, a table top Teppanyaki grill is your go to grill for entertaining guests no matter the weather, and it also does not require rocket science to install and maintain. These grills are efficient as they maximize on the available heat and very little energy goes to waste. It can be used both indoors and outdoors with equal performance. Weather may be a hindrance for outdoor use. No oil should be added when cooking meat. On the grill, fat melts and it is sufficient to have the meat cook on its own juice. Start grilling from low heat as you gradually increase it. Do not directly turn on high heat since if there is no food on the surface, the cooking station may warp. Turn off the grill as you finish. If there are stubborn food residues on the surface, scrub lightly with warm water and washing liquid. Use the right equipment modified for non-stick cooking to avoid chipping off the non-stick layer. There are some grills that have a combination of grooved and flat surfaces. Food prepared on this kind of surface have grill marks similar to those on a char broiler. Almost all grills and griddles are open excluding those with a combination of closed griddle and grill. 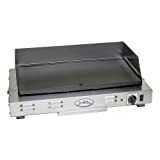 So, this Netsc19 Teppanyaki Table Top Grill is the one I would get if you’re getting started on a tapletop grill for your home. It’s admirable to have a fun and innovative way of cooking, or just getting to have something that matches your style of cooking yet remains enjoyable to you. Having a grill at your outdoor space incorporates all the normal kitchen activities while letting you unwind. If you will work from an existing deck or patio then a standalone grill is the best option. However, a Built-in grill is better suited for new designs of a deck or patio. The following is a dissection of each grill, with all the pros and cons equally measured. A Standalone grill is adaptable to suit your outdoor area. It is a very portable grill that can just be moved to any location for camping or caravanning, or if you want to use your deck or patio. Having a Standalone grill for your deck or patio is more economical. However, it will not have all the features of the Built-in grill. I bought the Everdure Furnace Grill Teppanyaki Plate myself and it let’s me cook indoors on my furnace as well as outside on the patio if we’re having a barbecue or it’s just really nice out. A built in grill is quite a package. It is spacious and can be partitioned into a counter and a space for the actual grilling. It also safeguards the components of your grill. Built-In grills add sophistication to your outdoor space, make an area for indoors and outdoors cooking, and create a boundary between your grilling space and deck or patio. This protects your family form having to be around the hot grill all the time. A Built-In grill is perfect if you are designing a deck or patio. The Broil King built-in grill would be my choice for a built-in grill. I saw it on Amazon and am considering it for my next home project. What fits your home better? A standalone teppanyaki grill is economical for budget constraints and having it in your deck or patio is more suitable. If you have a large courtyard that you intend to maximize on then a Built-in grill is advised, and some space for the grill should be left aside in the design. Taking time into consideration is important. If grilling is your thing and it’s possible to be done every other day, purchasing a built-in grill would be the best choice. If the grill might be in use less often, it is much better to invest in developing another area of your home. It adds inventiveness and presentation to cooking: The Teppanyaki grill is very suitable for social gatherings and is very fun to cook with. It can be used both indoors and outdoors: Since all electric components are well fixed and are also well insulated, the Teppanyaki grill is safe for use anywhere. Other fabrications such as the high quality stainless steel make this kind of grill durable and useable and all climates. Heat maximization: All the heat generated is only transferred to the food and nothing else. Food is always in direct contact with the source of heat and cooks regardless of the temperature. Cooks a vast number of dishes: The Teppanyaki grill can cook anything to be similar to the conventional Japanese specifications. Vegetables, meats and even sea food can be conveniently prepared. The number of dishes that can be cooked on the Teppanyaki grill is immense. Multi-functional space saver: The CND Teppanyaki grill can be used as a warmer or extra space for work when there is nothing cooking. Energy saving: The Teppanyaki grill requires just a single source of heat and all the heat is directed to the food and nothing else. Healthy: Since all food cooked is freshly prepared, there is general promotion of health. Universal design: There is no need for lifting and moving pans and other stuff to and fro the kitchen. This also allows the physically challenged to prepare a meal within a short time. No chemicals and low maintenance: The cooking surface is easily cleaned with available kitchen stuff like cooking oil, no toxic stuff is used. Wiping regularly before and after use increases its efficiency. Gone are the days when you have friends coming over and you’re doing all the cooking, and they’re doing all the partying! Now, you can cook food and kick it at the same time. And, this has just been made possible by The Teppanyaki. You can stir fry your vegetables; in fact, all your friends can each get their own little proportions that they want to do and cook all on their own. It allows for cooking your fried meals all on one appliance with a minimum of fuss. So, if you don’t want to stay trapped in the kitchen, put the food in the party together with something like this, and you’re good to go! By and large, Teppanyaki grill is perfect for travelling, especially for camping and caravanning holidays. Most Teppanyaki grills also feature an adjustable temperature control and a removable oil drip tray. They are easy to clean with their non-stick coated surface and have a large cooking surface. It’s very much like a stovetop in a dining table, all in one. It lets you be a chef and a host at the same time, without even leaving your seat. You would like this grill a lot for preparing your dinner over the weekend. It lets you entertain your guests and it’s fun for the people too. The grill can be safely used outdoors or indoors, since it has no open flame and uses electricity instead of gas. It’s easy to assemble and can go on porches, decks and patios almost anywhere. Since, all you need to operate it is a power source, you plug it in, turn your heat on and you’re set. As it heats up, the center of it sinks which allows to hold all the sauce, all the meat and everything that you have there. The center can reach up to 430 degrees, which is just the right temperature to sear meat fast. Whereas, a stove or gas grill would have to be much hotter than that to get the same results. Just outside the center is a ring three and a half inches wide to keep the cook food warm, while the outer area always stays completely cold. It usually comes with different cooking and temperature settings, so if you don’t want it too hot to burn anything, it’s really easy to use it. If you are new to cooking and using it for the first time after installation, you should heat the teppanyaki griddle to 120 degrees Celsius to loosen factory-applied protective coatings. You need to turn off the griddle when the coating starts to melt and swipe clean the surface with a good quality commercial cooking surface cleaner. You must rinse the griddle top well before seasoning. Then, you can season the teppanyaki griddle surface before cooking. What temperature does the teppanyaki grill need to be? The griddle needs to be heated to 150 degrees Celsius and 30 ml of vegetable oil has to be rubbed per foot of griddle space with a soft cloth into the cooking surface of the teppanyaki. This seals the surface and helps to make it non-stick. Then, you have to wipe away excess oil and repeat until the cooking surface appears shiny. Remember to preheat the griddle 10 minutes before cooking, cut up the food prior to cooking and not cut directly on the teppanyaki cooking surface. Initially, place the food onto the preheated surface toward the back of the griddle, and cook the food as you would on a griddle, but stir it continuously. It works just like a stovetop since this gadget is like a skillet and a grill, all in one. They are also very portable with their easy-grip carry handles. You can’t use pots and pans on it and over time the shiny surface may get some scratches from regular use. But, cleanup is pretty simple – all you have to do is wipe it down with a rag in a little water. You can also rub a scrapper over a steel teppanyaki surface to remove stuck-on food. However, it is preferable to clean the surface with commercial cooking surface cleaner and rinse well. Off and on, you must rub a light coating of vegetable oil over the surface of the teppanyaki to prevent rust when not in use. Teppanyaki comes in many varieties and sizes. In regions with hot temperature and a lot of bad weather or rainy seasons, you just don’t have to worry because it is like a stainless-steel grill that you can keep outside all the time. you don’t even have to cover it. This disruptive invention has truly transformed the way cooking is done at home. Not only it facilitates partying and having a good laugh with your friends, it also adds flavor to the food by enhancing cooking quality. So, next time you go for shopping, don’t forget to put The Teppanyaki in your cart. Trust me, you won’t regret it! he fireplace was ideally located at the center of the main room which was a gathering place for people. With time, approximately 2000 years or so, charcoal derived from wood became the most used source of fire in Japan. This was convenient since it facilitated the evolution of grilling methods to the ones which we know currently. 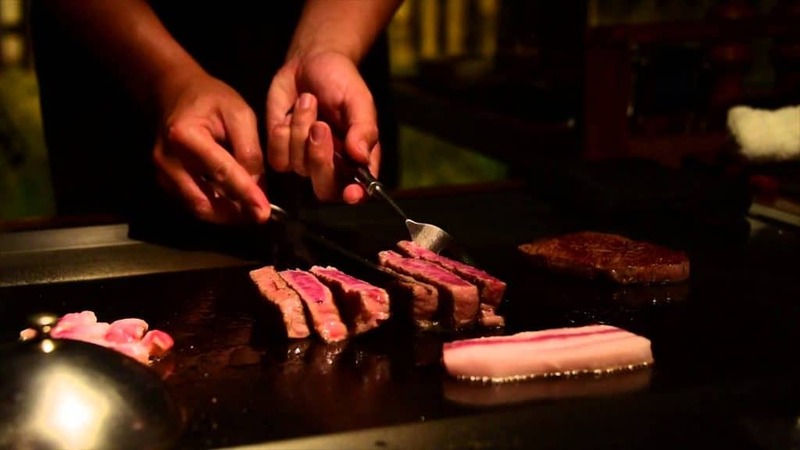 The Teppanyaki grill is widely used to prepare foods in most restaurants just in front of the diners. In the United States, restaurants that have this custom are known as Japanese Steak Houses. Although the Teppanyaki grill has a solid girdle cooking surface, it still is confused for the Hibachi grill that has an open gate surface. Hibachi grills have their heat derived from sources not essential to the Teppanyaki grill such as charcoal. 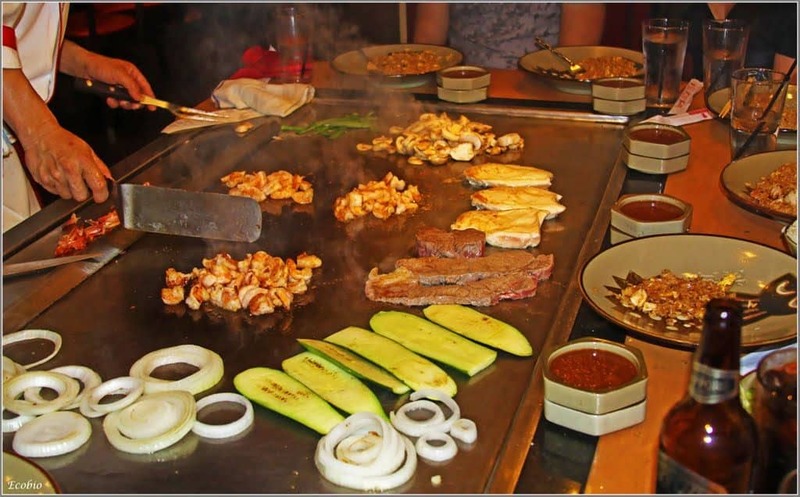 Food cooked on the Teppanyaki grill are made in front of the guests after making orders. There are a variety of meat dishes, vegetables and seafood that can be made on this grill. Steak, fillet, fish and mignon are some of the meats: these are cut into suitable sizes and sauces added during preparation. Veggies include onions, zucchini and much more. Meals include steamed or fried rice, salad and soup. It is important to have prepared the vegetables before cooking them. Teppanyaki grills are not only reserved to commercial places, they can be used privately as long as it is within the outdoors. 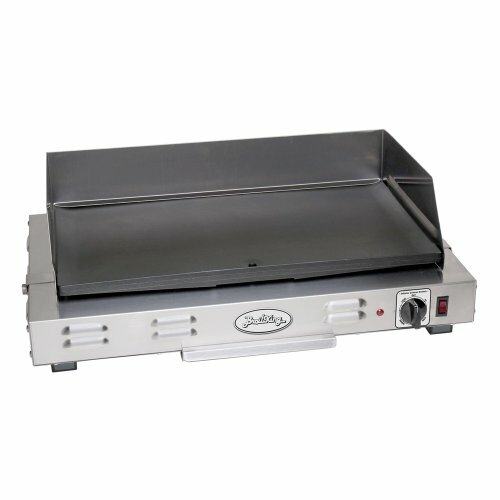 What type of oil can I use on my Teppanyaki Grill? A Soybean oil is the most chosen oil to stir fry the ingredients on a Teppanyaki grill. Often times stir frying noodles or cabbage with sliced meat is prepared with vegetable oil or animal fat and you see the use of a mixture of both fat and vegetable oil a lot. Soybean oil is used more often than you think and is not limited to the use in japanese cooking. It’s also an ingredient in many salad dressings and baked goods. It’s available all year round and it’s low in saturated fats. I buy mine from Amazon and have it deliverd to my house. To remove food residues, add some water round the cooking station. Reheat until there is bubbling when the water is disturbed. Carefully use a non-scratch straight edge spatula to loosen the stains and moving the water around frequently. Ensure the surface is dry thereafter. Tongs should be used to grasp the paper towel or rag since the surface and liquids are still hot. Continue cleaning until all remaining food particles are gone. The stubborn stains should be removed when the surface is cold. Utilize a non-scratch nylon mesh cleaning pad. Scrub the cooking section while moving along the direction of the grain from one edge to the other. Avoid moving in concentric circles. Use a wet cloth to rinse. Make a paste to remove difficult stains. Let it sit on them for about 60 seconds and rub gently. Rinse well afterwards. Remember all work should be done edge to edge following the direction of the grain, and on a cold surface. A lemon can remove heat discolorations. Cut a lemon in half and rub it gently on the discolored part. A better shine is obtained if you use vegetable oil and a rag. Non-stick cooking spray can be applied on the surface or on a paper towel to avoid over application. Remove all oil remnants using a paper towel or a clean rag to avoid staining your clothes. Ensure that you clean your cooking station regularly since even the smallest stains can have an impact on the stainless steel with time. Also, do not use common steel pads, wire brushes or scrappers since they might alter the integrity of the invisible shield making it susceptible to corrosion. Bleaches are also advised against. These can be chlorine bleaches, Ajax3 or any abrasive and household acids since they also damage the stainless steel properties of the Teppanyaki Grill. The Teppanyaki grill is very fast when it comes to food preparation and you won’t need to linger around as you wait for the food to get ready. There are some forms of cooking that require a lot of time and attention before the food is ready, therefore if you are on an expedition, you can use the grill to make a quick meal to cater for your starving mates. Another good thing about this grill is that it’s made from materials that are easy to clean, and this means that you don’t have to waste much effort to remove a lot of stains. In the end, you are at liberty to use the Teppanyaki grill to its fullest capacity without worrying of the cleaning aftermath. Many people have been troubled at one point in their life on how much time they spend cleaning than on cooking, all this has been eliminated for the ultimate cooking experience. Also, cooking food on the Teppanyaki grill is a healthier option since excess fat drain into a drip tray, removing all unwanted oil. Just buy a Netsc19 Electric Teppanyaki Table Top Grill from Amazon to get you started in this wonderful and tasty cuisine. Next post Why Use Soy Bean Vegetable Oil for Teppanyaki Grilling?